The winter transfer window can be full of desperate times. A bit like a j4l.com dating site in which players and clubs are looking to desperately find a match in order to rekindle a career or broken season. For two Russians – Zaur Sadaev and Fedor Kudryashov – that spark to rekindle the career is supposed to take place in Turkey. Both transfers have an interesting back story but also highlight a changing dynamic between the Russian Premier Liga and the Turkish Süper Lig. After all, it was only four years ago that Turkey had shot down a Russian warplane over Syria. That event was probably the low point in the relationship between two countries that in their international dealings have been hot and cold ever since. Clubs at the time reacted by no longer heading to Turkey for winter preparations and for the most the most part that tradition has continued. Nowadays the big clubs like to play pre-season friendlies in Qatar and smaller clubs mostly train in other Southern European countries – the FNL Cup, for example, takes place in Cyprus. Sadaev and Kudryashov – A new trade route? Meanwhile, transfer activity between Russia and Turkey has also been somewhat sparse. Only eight Russian players have played in Turkey before Zaur Sadaev and Fedor Kurdryashov’s arrivals in Turkey on the 2018 transfer deadline. Furthermore, from 2003 — when Vladimir Beschastnykh left Fenerbahçe — to 2016 — when Roman Neustädter joined Fenerbahçe from Schalke — no Russian player played in Turkey. Neustädter, who grew up in Germany and could have also played for Ukraine or Kyrgyzstan, in many ways paved the way. In 2017 Vitaly Dyakov played one season for Sivasspor. Arsen Khubolov joined Büyükşehir Belediye Erzurumspor in 2018, and with Sadaev and Kudryashov the Russian contingent has been doubled. For both those players, the move to Turkey is a bit of an escape from the harsh realities of Russian football. Fedor Kudryashov has been somewhat surplus material at Rubin Kazan. Kazan, in turn, has been a club in financial turmoil in need of budget cuts after being banned from playing in European competitions by UEFA in late 2018. One of the World Cup heroes Fedor Kudryashov played four games for Russia at last summer’s tournament. Following his return to Rubin, he played nine times but was put on the trading block this winter. Now in Turkey, the left-back could be writing history. His new club Basaksehir are six points clear at the top of the table. Based in Istanbul Basaksehir, however, are also lavishly funded by the Turkish government. In other words, the club is a symbol of Recep Tayyip Erdogan’s controversial government. Kudryashov’s arrival has been widely reported in both Russian and the Turkish media. Controversy is something Zaur Sadaev is only all too familiar with – the 29-year-old forward has been a member of Terek and later Akhmat Grozny since 2006. Throughout his career, however, he has been in and out of the first squad. As a result, he has been loaned out on three different occasions, including a very controversial stint at the Jerusalem based club Beitar in 2013. 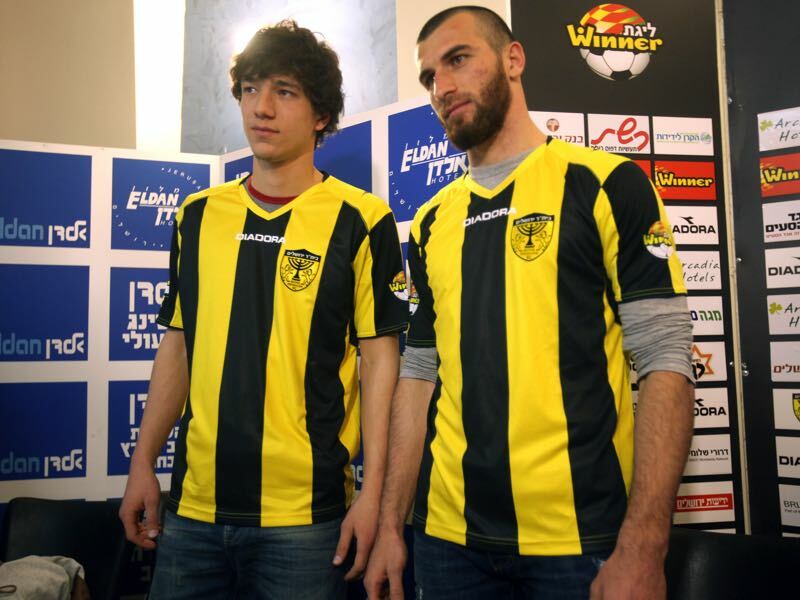 A practising Muslim Beitar hoped that by signing Sadaev, the club could break the stigma of being supported by ultra-right wing Jewish fans. The opposite was the case, however, with the club almost being torn down by a series of events that almost led to Beitar’s bankruptcy. The Chechen striker will not be involved in that sort of controversy at his new club. Joining Ankaragücü in the Turkish capital Ankara Sadaev, in fact, hopes to find a permanent home in Turkey. In order to achieve that he will have to keep the club in the league first. Ankaragücü are currently in 15th spot just above the relegation zone in the Turkish Süper Lig. Zaur Sadaev, in the meantime, is signed on loan from Akhmat until the end of the season. A permanent transfer will very much depend on whether Ankaragücü will stay in the league. Overall, Kudryashov and Sadaev heading from Russia to Turkey may open a new trade route across the Black Sea to Anatolia. After all, some of the bigger Turkish clubs have been troubled with financial problems. The fledging Russian Premier Liga, in the meantime, has both the talent and players willing to play in the warmer climates of Asia Minor. In some ways, this is opening up a trade route. A trade route that until recently seemed to be closed because of political events.